Royal Canadian Mint has just released two new breathtaking coins for this year. 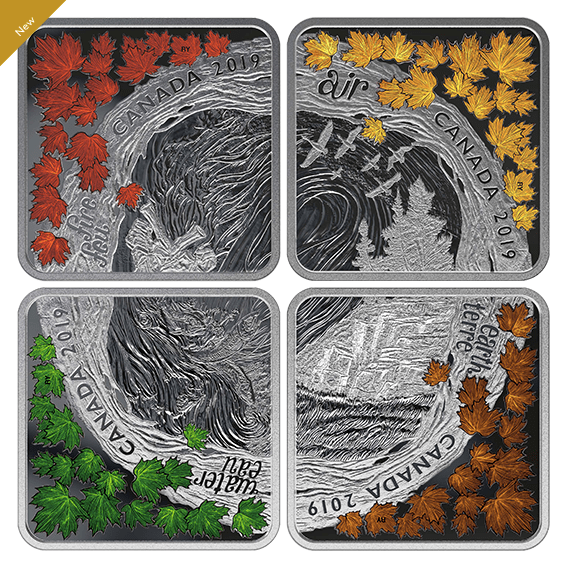 First, this Pure Silver Coin Set – The Elements – Mintage: 2,000 (2019) features fire, air, earth, and water in a 4 coin square-shaped celebration of Canada. They are the four elements that were believed by the ancient Greeks to be the pillars of life: Earth, grounding and nourishing; Air, always in motion; Fire, provider of heat and light; and Water, constantly flowing. Get yours today for $199.95, plus FREE shipping! This 1 oz. 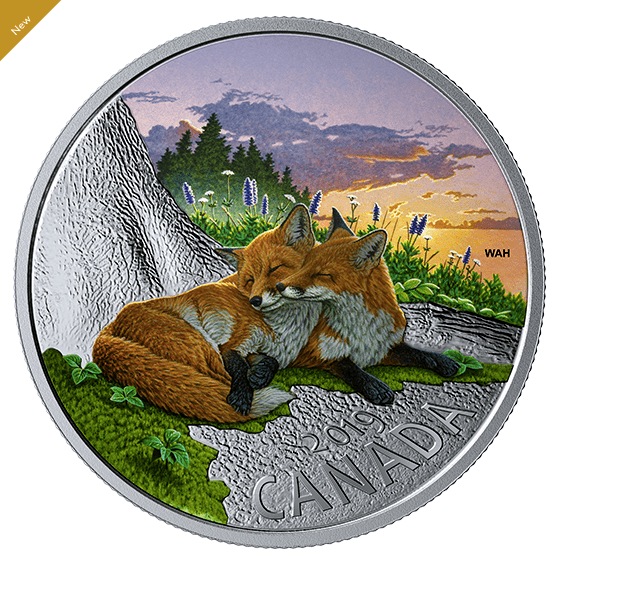 Pure Silver Coloured Coin – The Fox: Canadian Fauna – Mintage: 4,000 (2019) features a tender moment between two red foxes (Vulpes vulpes) under a dramatic sunset color of the sky above the Canadian forest meadow. The reverse includes the year “2019” and the word “CANADA” struck incuse. Get yours today for $99.95! Royal Canadian Mint offers FREE shipping when you spend over $100 or more.